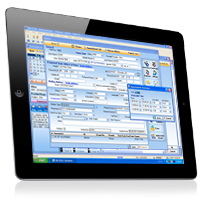 With 1st Providers Choice's Neurology EMR software, providers can connect to patient health records from their favorite mobile device, including Apple, Android, and Windows tablets. We give you instant access to your patients' records, even when you're away from your computer. This lets you interact more closely with patients, improve productivity overall, and take action on critical items when you're on-the-go.